If you want to be among the first to know about future competitions, please make sure you are signed up for my free emails here. Thanks to everyone who participated in this competition. It was great to see so many people spreading the word and having a lot of fun with it! I think those who accumulated hundreds and hundreds of points deserve a special mention – you can see who they are in the final points standing – what a superb effort! If you want to be among the first to know about the next competiton, make sure you join my mailing list here. And thank you to Paul for the competition! Holy Smokes! thank you very much, and thank you for the Comp Paul, very generous prize indeed. Well done guys….good idea Paul. I will brush up on my ‘tech/it skills’ for the next one. well done guys!!! we’re not gonna hear the end of it now on BB BUhcraft are we Dave?! 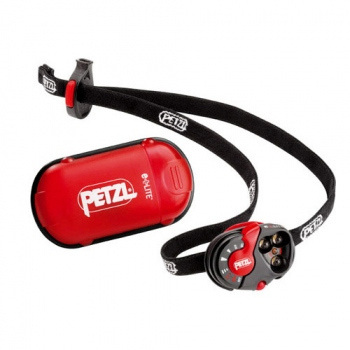 The new petzl e-light doesnt work any more with a rubber strap. It has a rope strap that is winded in like a ski card cordage. So it can not loose the tension over the years. In my opinion the best and surely lightest head torch for summer conditions or emergencies. And the expensive batteries become cheaper too. Because i do not hike in the mountains, where i perhaps would like to watch out far away in the night, and because i try to lighten the weight of my rucksack as much as i can, that lamp is my first choice as my main lamp, with a photon mini torch as second backup lamp.